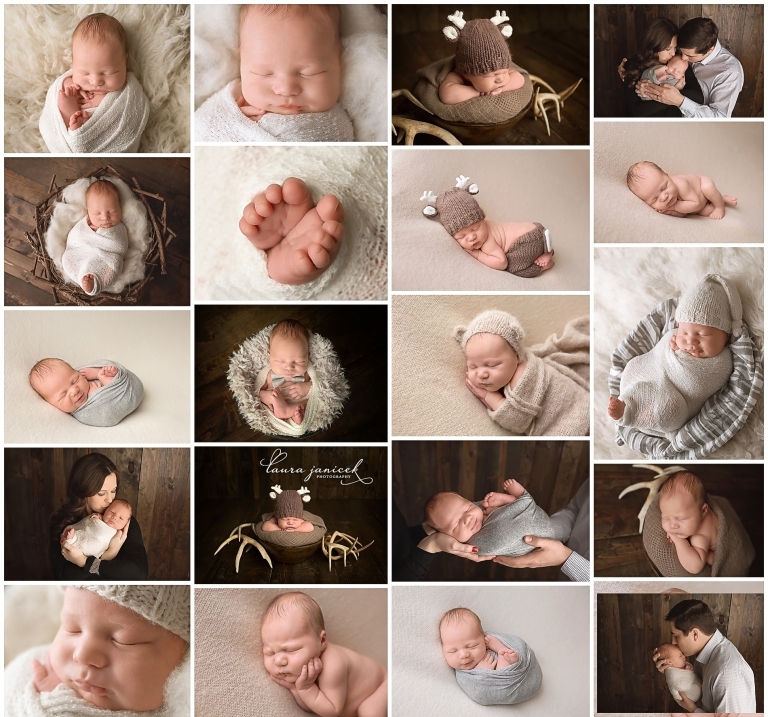 There’s so much that I enjoy about newborn photography as well as my milestone baby clients… the babies (of course! ), the families, the interactions, the planning, the props, the final images and getting to see my little clients grow as they come back for sitting, standing and first birthday sessions (and beyond!). I love working with new parents who love their baby more than they ever dreamed possible… It is an exhausting first year for sure, but nothing could be more rewarding than watching your baby develop and grow and change throughout his or her first year of life. Bringing your baby into the world is such a unique, amazing and oftentimes, overwhelming time in your life. I’m flattered to be trusted with your baby and chosen as your newborn photographer. I take a lot of pride in what I do and I work hard to provide my Nashville area families with beautiful pictures of their sweet new babies. Meet Oliver. He made us work hard for his pictures… Some babies just have strong opinions about their photo shoot! 😉 Dad is a hunter, so we incorporated some of his hobby into the session. Oliver may share the same passion later in life as I can only imagine he will become dad’s hunting partner someday. I will post more of little Oliver in the coming months as he comes back for his 3 month, 6 month, 9 months and one year portraits!